We stand behind our customers and our work. We earned our reputation not only for the quality of the fit results, but also for taking care of our cyclists above and beyond - and over extended periods of time. We understand that in some rare circumstance, things that have worked perfectly well in the studio don't quite work exactly the same in real life. Or, sometimes, you need just a little tweak for the fit to be exactly perfect. We hear you. We understand. We are with you. Every fit comes with a free 30 minute fit review within 60 days of the original fit. What does it mean? It means that you can come back to the studio and share with us your experience and we'll work with you to make it just right - the way you want it. 30 min is usually plenty of time to address anything that comes up after the original bike fitting session. 30 min is actual fit time -not counting set up time. There are some limitations you may want to keep in mind. We ask of our customers to be respectful of our craft and understand that there are limits to what can be done "under warranty". The fit warranty doesn't apply if you altered your fit in any way. For example, you changed your shoes, or the saddle. In general, if you change a touch point on your bike (shoe/pedal/cleat, saddle/seatpost, handlebar/stem), you have altered your fit on your own will. The fit warranty is meant to cover small adjustments and tweaks to address little issues that might have creped up. It's not a free upgrade to a more advanced fit package. We understand that some changes are sometimes necessary. Cleats wear out. Saddles need replacing. It happens. However, your changes/improvements to the bicycle are out of our control and we can't warrant what we didn't do. Occasionally, we find bigger issues to address than your chosen fit package. We are good at working with you and suggesting a change in course at the time of the fit -if needed. But if you chose a certain package (maybe because of budget constraints) and we couldn't address some issues during your original fit, it's likely that you might have chosen a fit level that was not adequate to your situation (for example, choosing a Retül 3D advanced fit to address a nagging pain that would have been better addressed by the Fit For Injuries package). The fit warranty covers your chosen package and cannot become an upgrade. Use good judgment and don't be afraid of asking questions. More importantly, you are not on your own if you need some extra time or a more advanced package after your original fit. We have a ongoing maintenance bike fit program to address this need in the most economical way: a fit review (see below). A Fit Review applies to the original bike fit on the bike you were fitted on. 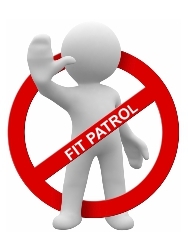 Being out of fit warranty or needing to upgrade after the fit doesn't mean you are on your own. What happens if your needs exceed the 30 min free review or if you altered your fit and/or you are out of warranty? We are here to help and not to nickel and dime you. You will need to book a fit review and we'll work with you restore or re-align your fit to your new situation. We charge $75/hr up to a max of your original fit price minus $100 (the 2nd+ fit charge). Upgrading to a higher level package: $75/hr up to max of higher package price minus $100 (the returning customer discount). Pro Fit, Fit For Injuries and Fit For Weight Management may incur extra costs due to the extended work required -although it's the exception. WHAT IS A FIT REVIEW? A fit review is a shorter version of a bike fit. It uses the same technology and methodology of the original fit and takes less time because we already have a baseline on you. It applies only to your original bike fit on the bike we originally fitted you on. It cannot be applied to another bike. It addresses specific situations (like a new pair of shoes) to help you maintain the integrity of the original fit or improve it. It's designed to keep the fit recurring costs down to a minimum. We partner with you in maintaining your fit throughout the lifespan of your bike and preserve your original investment in time and expense into the fit with a reasonable fee schedule. See it here. There is no money back guarantee. Sorry, but we are a service provider and not a merchant. You cannot return a fit for refund. We are sure you understand, as this is common practice among service providers of any kind. Please look at the pricing page where we discuss in detail the different options available for re-fit, 2nd+ fit and upgrades and on-going maintenance of you fit across equipment changes and upgrades. You'll find many options. Sometimes things like a new stem or a saddle could be part of your fit. We work extensively in the studio to make sure those items are sized exactly to you. We also make sure that the parts we use are fit to your liking. We'll discuss these parts with you and make sure you agree that are needed and you feel comfortable with them before installing them. 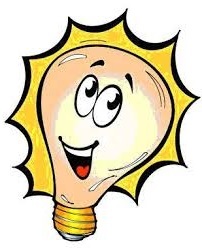 We install only what you need, nothing more or less. We use high-quality components with some of the best specs. The bicycle components we install on your bike are an integral part of the fit -they are not an upsell (that's why we encourage you to bring your own parts, if you like). We want you to walk out of the studio with a complete fit and not with recommendations for parts to install on your own. That's why we stock "bike fitting consumables" like stems and seatposts. We understand that sometimes you may be loyal to a brand. Or you may like a certain bling. We support you. We'll tell you exactly the specs of the equipment we installed during your fit and we will even give you the instructions on how to replace (one-for-one) parts like a stem or a seatpost with your own favorite brand/model without altering your fit. With the PDF file we e-mail you after the fit session, you can do it - or you can let us help you too, if you prefer. You will walk out of our studio with the fit finalized using our components as necessary. That's the only way to guarantee the success of your fit and your satisfaction..
Once a part is installed on your bike as part of your fit (like a saddle, a stem, a seatpost), you own it. We don't do loans (with the exception of the Selle SMP Test saddles for which we have a specific test program, see here) and we cannot take parts back for refund after they have been installed. They are an integral part of you fit. Shall you need to execute a manufacturer warranty due to defects, you'll need to follow the guidelines of that manufacturer. We'll gladly support you in getting in touch with the manufacturer to get an RMA. 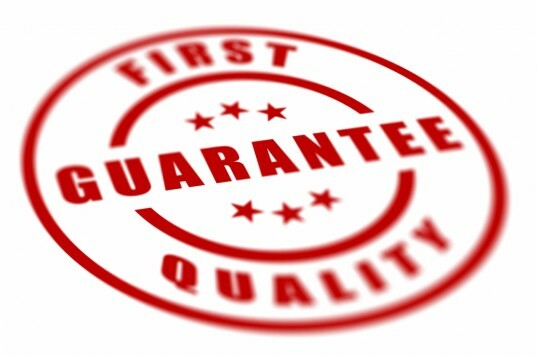 We don't process RMAs and/or exchanges, but we'll help you and give you all you need to get a part replaced by the manufacturer whenever you have a legitimate claim. There is no stated, assumed or otherwise implied warranty on any alterations on a bicycle and/or any component that may be necessary to execute during a bike fit. This applies especially to cutting or trimming of bicycle parts like an integrated seat mast and/or a seatpost and handlebars. Once you give permission to cut or modify a part, the process is irreversible and we cannot be held responsible for it. You know how this works. Use good judgment and don't be afraid of asking questions. We are here to help.